The AAP has suggested to the Jannayak Janata Party (JJP) that it be given three seats, choosing between either Gurgaon or Faridabad, Ambala or Karnal and Rohtak or Panipat, the sources said. 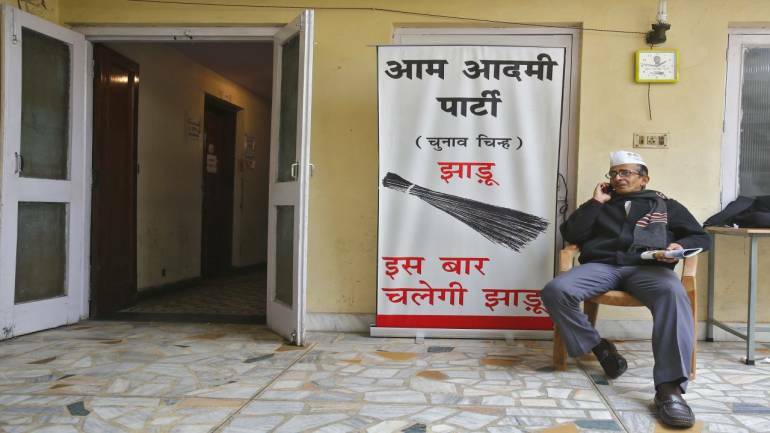 The Aam Aadmi Party has suggested to the JJP that it be given three Lok Sabha seats in Haryana, choosing between either Gurgaon or Faridabad, Ambala or Karnal and Rohtak or Panipat, sources said. The names of the candidates will be released in a couple of days and the decision will be taken by the core committee comprising both members of the JJP and the AAP, they added. The AAP and the JJP had Friday announced firming up an alliance in Haryana to fight on all 10 Lok Sabha seats. Kejriwal had earlier proposed an alliance between the AAP, JJP and the Congress but the grand old party rejected the proposal.